Both blast chilling and blast freezing is the most effective way of cooling food safely and quickly to prevent the spread of bacteria. They are intended to rapidly drop the temperature within, perfect for food preparation companies, school canteens, restaurants and even for smaller back room storage of stores to name just a few. The Corr Chilled blast chillers are able to chill food from cooking temperatures, approximately +70°C, to +3°C within 90 minutes. The blast freezers can also bring down cooking temperatures of +70°C down to -18°C within 240 minutes. 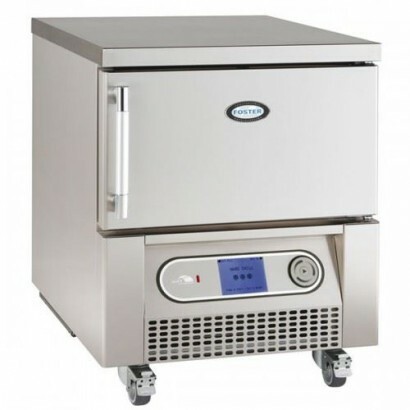 Due to this quick temperature drop the blast chillers and freezers are able to allow you to freeze food items with smaller ice crystals than if done without, thus causing less damage. 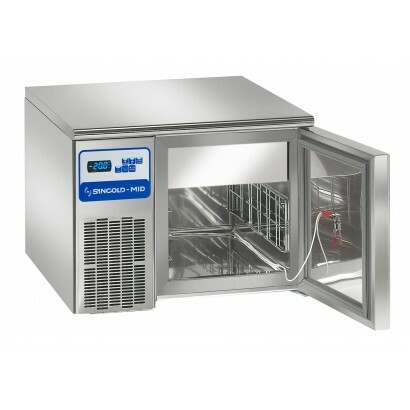 After the item is frozen you are then able to move it to a more conventional freezer to keep the food frozen. As well as the preservation of the food quality, the blast freezer will be able to keep contamination of your food incredibly low. This is if you immediately place the food in to the freezer after safely handling it there will not be any spread of contamination throughout. 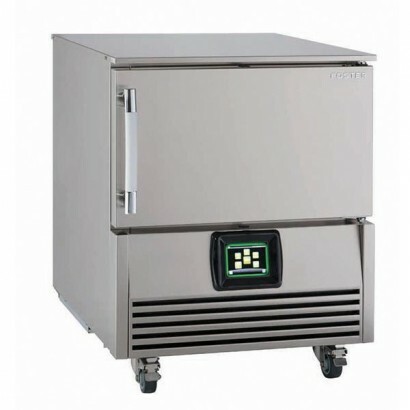 Blast chillers and freezers are the perfect invention as the food legislation now requires that all food must be cooled as quickly as possible and kept between +68°C and +8°C for as little as possible due to the heightened risk of bacteria multiplying. 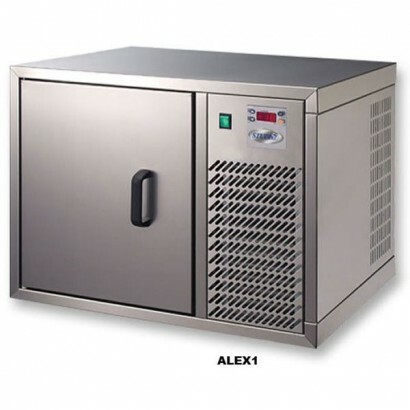 Blast chillers and blast freezers are an essential part of any commercial food operation that needs to keep food cold or frozen quickly and efficiently. 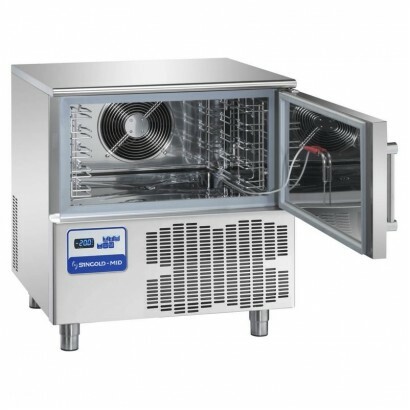 Blast chilling and blast freezing is an effective way of cooling food quickly and effectively to prevent the growth of harmful bacteria and keep your kitchen in line with health and safety guidelines. We have a range of cabinets to perform this task with any sizes of operation, from a small cafe or bar to a large scale catering operation. 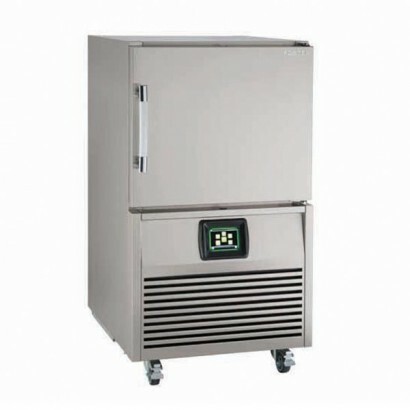 Corr Chilled offers a range of blast chillers and blast chiller freezers for any size of operation. 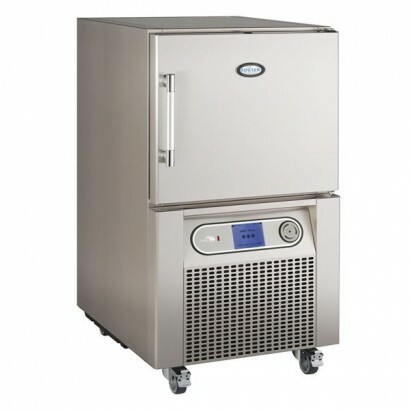 Counter top, undercounter, cabinet and roll-in blast freezers and chillers are all available. If you require more information about these products click here or call us on 0161 442 9174. 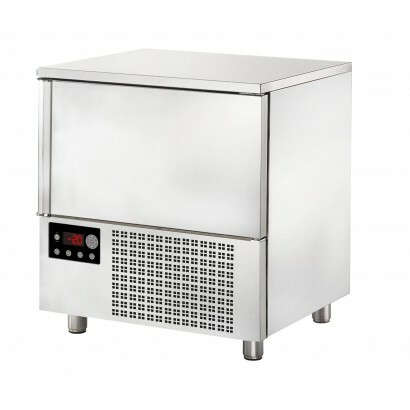 Compact counter top blast chiller freezer with 8kg chill and 3kg freeze capacity. Ideal where space .. 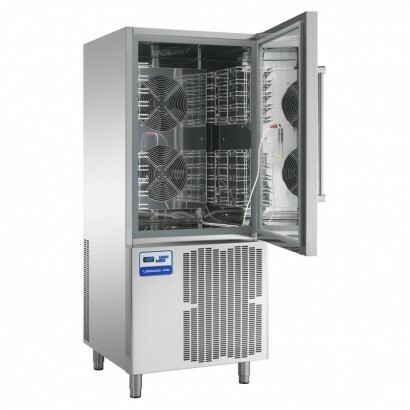 The Mercatus Y2 blast chiller freezer has a 10kg chilling and 6kg freezing capacity with shelf space..
With a sizable capacity for an undercounter blast chiller the BCF20 is fast, efficient and accepts 1.. 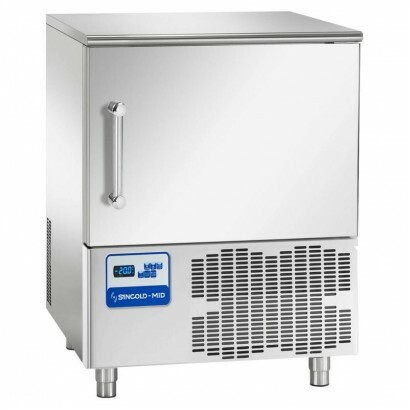 Packed with features the Sincold MX Blast Chillers have adjustable feet, adjustable core probe tempe.. 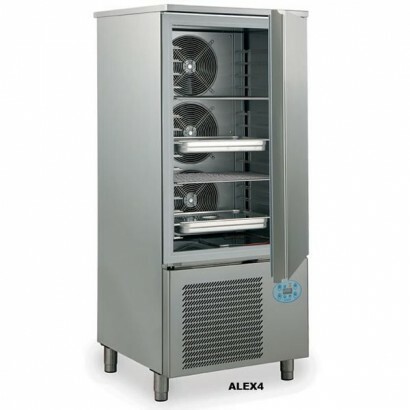 The compact Mercatus Y2 Range Blast Chillers/Freezers are made to be an easy way of shock freezing o.. 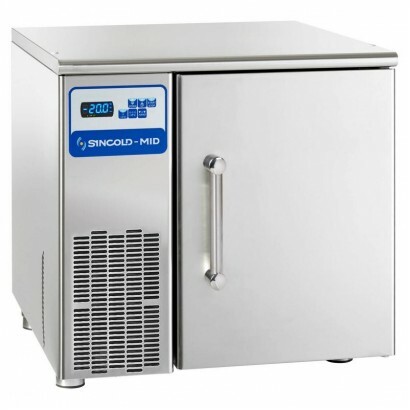 The Sincold MX Range Blast Chiller Freezers include the MX3, MX5, MX5C, MX7 and MX10 which all have .. 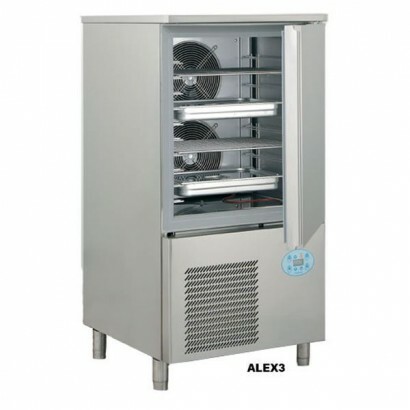 The compact Alex 2 blast chiller freezer has capacity for 5 x 1/1 gastronorm trays with a 12kg chill.. 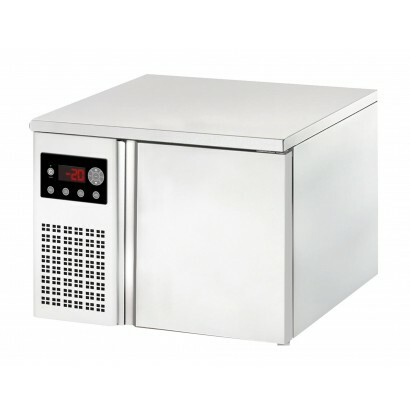 The XR range of economy blast chillers from Foster have castors, a stainless steel finish and simple.. The Foster XR20 Economy Blast Chiller is a great value entry level blast chiller with 20kg chilling .. 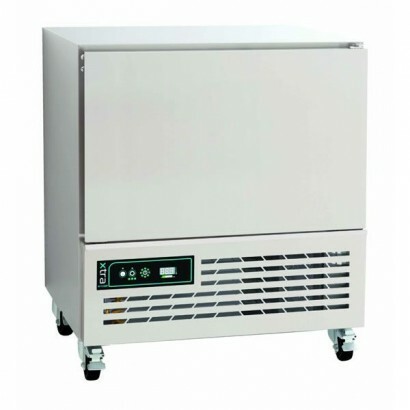 The Foster BCFT11 blast chiller freezer has a 11kg capacity and is a compact cabinet with 3 shelf po.. 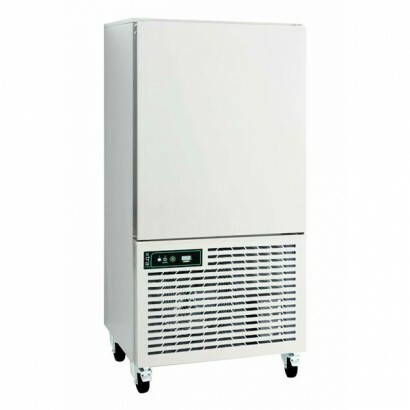 The Foster XR35 Economy Blast Chiller is a superb entry level blast chiller from Foster. With a larg.. The Foster BCT15 Blast Chiller is a compact 15kg capacity blast chiller ideal for smaller premises b.. 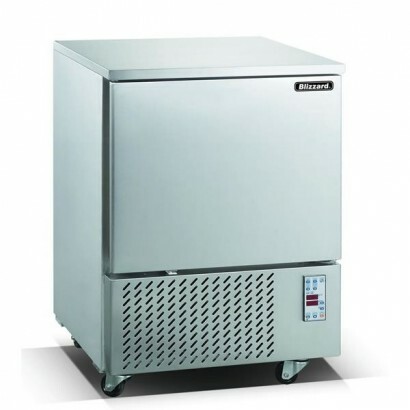 The Foster BCFT21 Blast Chiller Freezer has a large 21kg capacity and comes with 6 shelf positions p.. 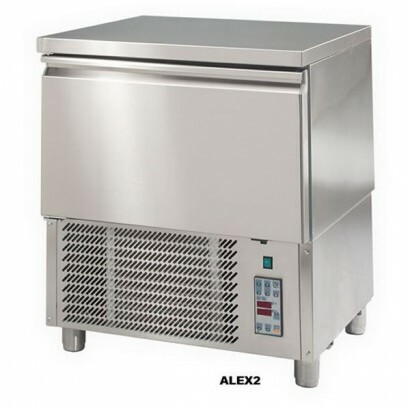 The Alex 3 blast chiller freezer has capacity for 10 1/1 gastronorm trays or the equivalent of 38kg .. 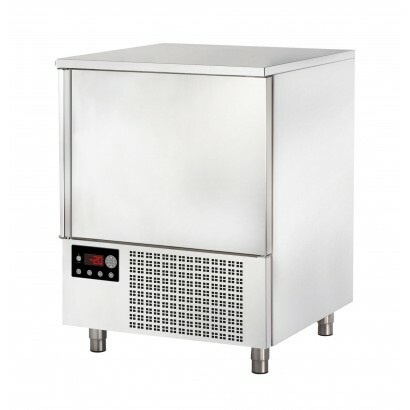 The Foster BCT22 Blast Chiller has a 22kg chilling capacity as well as space for 6, 1/1 gastronorm p..
A large capacity cabinet blast chiller freezer with capacity for up to 60kg chilling and 45kg freezi..